Special idents to celebrate Home and Away coming to Channel 5. Special idents with an emotional theme. The first ever channel sponsorship. Special idents and promotions to celebrate Neighbours starting on Channel 5. 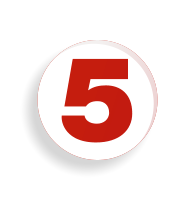 Special idents with the cicular 'Five' logo.